Lot of times we create appointments where attendees are from different timezones and its extremely hard to know the best time-slot that works for all. 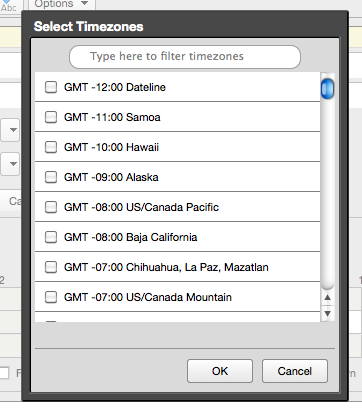 This Zimlet makes it a breeze to visually compare various timezones. 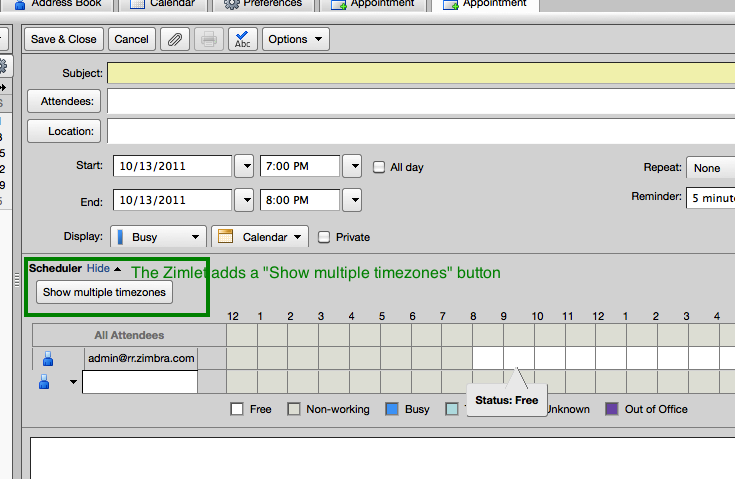 - This helps you quickly see working-hours (which is Zimbra preference; its by-default 8am-5pm). Although 8am-5pm is not working hours for everyone, but it gives you an idea. Say you are in PST creating a meeting where there attendees are from 6 different timezones & say only 3 timezones fall into 9-5 range on 9am & 5pm, you will see two "Green Arrows" above 9am and 3pm time-slots to quickly identify them. Can this zimlet work with ZCS 7.1.3 ? Zimbra won't load this version. Uninstalled.